Ubisoft has begun teasing the next Rainbow Six Siege DLC, Operation Para Bellum. Operation Para Bellum is the second drop in Rainbow Six Siege’s third year of content. Although previous leaks suggested the add-on will be set in Italy, bringing two new Italian classes to the game, Ubisoft did not confirm those details. 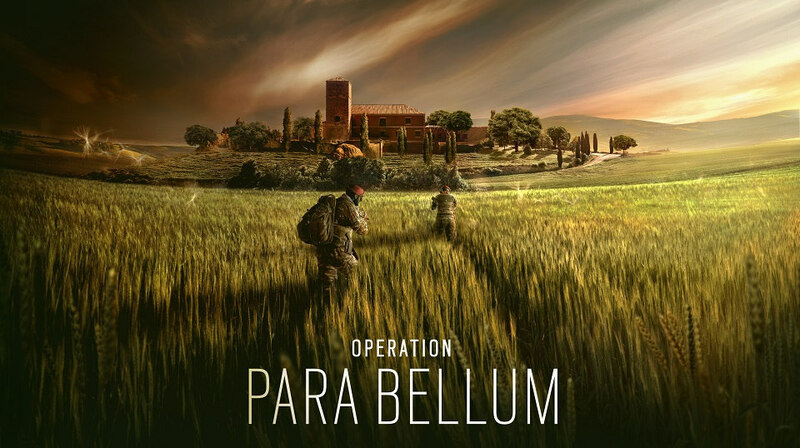 What it did confirm was that Operation Para Bellum will add two new defenders to the game’s roster, as well as the game’s “most competitive map to date.” The initial reveal of the operation will take place at the Rainbow Six Pro League finals May 19-20, which you can watch live on Twitch. This season also has a few other additions in store for all Rainbow Six Siege players, such as the new intel gadget, the Pick & Ban system, as well as buffs to Echo and changes to the Clubhouse map. The Pick & Ban system was previously discussed by the developer, and it works in a similar way to what you see in MOBAs. At the start of the round, each team gets a chance to pick (protect) certain characters while simultaneously banning others from being picked. This adds a layer of strategy, as it typically forces teams to adapt to certain playstyles they may not be great at. Beyond that, Ubisoft is making changes to dropshotting which it wants player feedback on first.